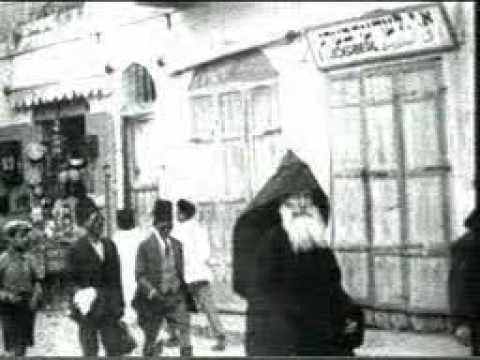 First film footage taken of Ottoman Palestine (Lumiere Bros.), in 1896. This does not count several thousand Bedouin Palestinians. It probably undercounts women, children and the poor among the Palestinian Muslims, as well as those young Muslim men who were dodging the draft. That is, likely the real figure was more like 500,000. It also excludes thousands of Jews living in Jerusalem who had foreign citizenship because they came as retirees to the holy city, living on charitable trusts set up for the purpose of encouraging elderly Jews to study and worship there. Jews from the Russian Empire put special emphasis on this practice. That is why Jerusalem was said to be 50% Jewish. But note that Jerusalem was small then, and Jews were not so numerous elsewhere in Ottoman Palestine.